These are a few of my most interesting custom projects produced for our awesome customers. Custom Smith Miller Lmack School Bus. 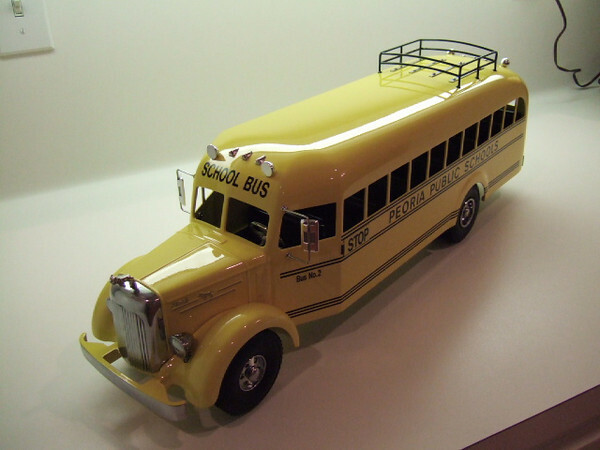 This school bus was modeled after a Mack School Bus that was found with an internet search. The decals indicated Peoria Public School and the roof rack is valid. This is a beautifully done school bus done in aluminum. The Lmack truck has not been modified forward of the firewall. Your choice of decals. The bus has an interior with rows of seats.